Pluckley’s Neighbourhood Plan covers the whole of the parish of Pluckley. It sets out a number of policies and ambitions that the community has called for. It is essentially, however, a planning document and will form the basis on which all development applications in the village to 2030 will be assessed. It has been developed in conjunction with and, once adopted, will be part of and have the same status as Ashford Borough Council’s (ABC) Local Plan. 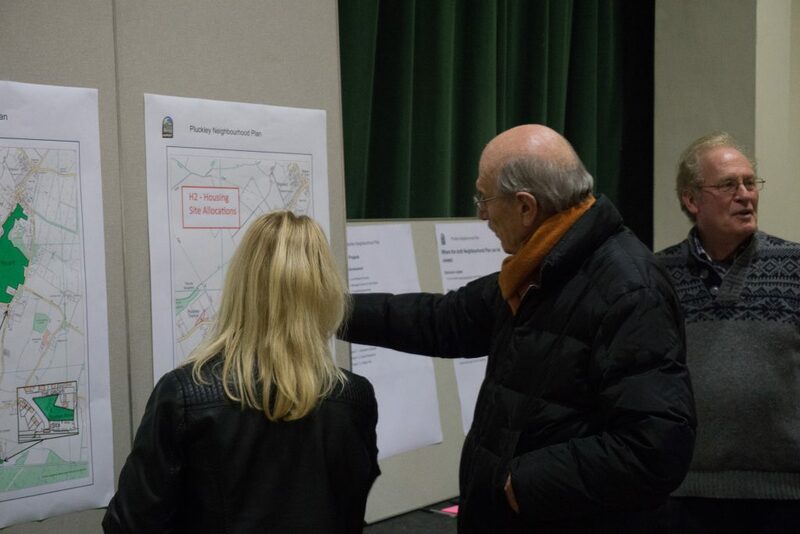 In the first instance, residents’ views on the Plan were obtained. A map of the sites supported for development can be seen by clicking here. The Plan has been prepared by a Steering Group, reporting to the Parish Council. To see the Steering Group’s remit click here. For the minutes of meetings held by the Steering Group please click here. The NDP will eventually supersede the Parish Plan which was formally adopted by the Parish Council and distributed to all homes in the parish in 2013. The Parish Plan can be viewed by clicking here. The NDP still draws upon Pluckley’s Parish Design Statement which was produced in 2003 and admirably describes the setting and character of Pluckley, the nature of its buildings, and sets out design principles based on the local character. The Design Statement has stood the test of time and was strongly supported during the input made by residents to the NDP. It was formally adopted by ABC as Supplementary Planning Guidance and has continued to be taken into consideration as planning decisions have been made. The Neighbourhood Plan was submitted by the Parish Council to Ashford Borough Council (ABC). They forwarded it to an independent Examiner who advised that subject to certain modifications, it was ready to go to referendum. The Parish Council was obliged to accept the modifications. ABC determined that it could go to a referendum within the parish. The referendum was held on 9th March 2017. The referendum asked whether you wished the Pluckley Neighbourhood Plan to be the basis on which Ashford decides future planning applications. The result was positive. 88.2% of residents voted in support of the Pluckley Neighbourhood Plan being used to help Ashford BC make decisions on future planning applications. To see the full results of the referendum click here. Ashford Borough Council has now adopted the Pluckley Neighbourhood Plan 2016-31. It will now form part of the Borough’s Development Plan. A copy was delivered by the Parish Council to every home in the parish. Responsibility for the implementation of the Plan rests with the Parish Council and ABC. It will be formally reviewed every five years to ensure that it continues to meet the aspirations and needs of the community as it evolves. To view Pluckley’s Neighbourhood Plan and accompanying documents please click here.